Hello Friends, does it happen to you that you have to make important calls to someone and your balance has ended or you have to search for something important on the internet and your internet pack has ended. Almost all telecom companies such as Airtel, Jio, Idea, Vodafone, BSNL, Docomo etc. allow their users to take loans, so that you can take advantage of them in Emergency. In this case, you need to know how to get talk time loans or internet pack loans in Airtel, Jio, Idea, Vodafone, BSNL, Docomo etc. If you ever need to take loan from any telecom company like Airtel, Jio, Idea, Vodafone, BSNL, Docomo after taking this information, then you can take a loan easily with the given loan number. So let us know what you can avail of loans in Airtel, Jio, Idea, Vodafone, BSNL, Docomo and their loan numbers and USSD Codes. Turn around all the telecom company’s loan numbers and the process of taking a loan. What is Vodafone Loan Number? To take a Talktime Loan in Vodafone, type the USSD code below into your phone and follow the process. Thus, if your Vodafone number does not have balance, then the balance of rupees will be paid on it, which will be deducted at 6 rupees after the recharge. This offer of Vodafone is also known as small credit. In addition, if you wish, you can also take a talk time by sending an SMS, for that you have to send CREDIT with your Vodafone number and send it to 144. In this way you can also take a small credit loan on your Vodafone number. And now if you ask to take an internet loan on your Vodafone number, then you have to type the USSD Code below into your phone and confirm it. Thus, 30MB 3G data will be given to your number. In addition to this you can take this offer from SMS, for that you have to send ICREDIT to 144. It must be valid for 1 day. Let’s say that when you recharge your number, 10 rupees will be deducted for the internet pack loan above your number. So this was Vodafone’s Loan Number and USSD Code by which you can take a loan. What is Airtel Loan Number? To take a Talktime Loan in Airtel, type the USSD code below into your phone and follow the process. Thus, if your airtel number is not balance, then the balance of 10 rupees will be available, which will be deducted at 12 rupees after you recharge. In addition, if you want, you can also take these loans by calling 52141. Let’s say that when you recharge your number, 15 rupees will be deducted for the internet pack loan above your number. What is an Idea Loan Number? You can take loan in your Idea SIM by interacting the above code as per your requirement. 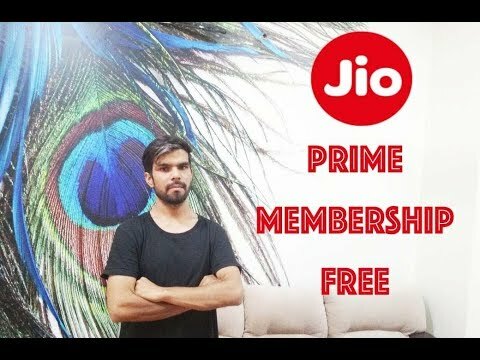 What is Jio Loan Number? Let us tell you that still does not give loan even now, so it does not have any loan number or USSD CODES right now. What is Aircel Loan Number? To get talk time loan of 10 rupees in Aircel, you can dial * 414 # or you can also call 12880. In this way, you will be given a talk time loan of Rs 10, for which you will be charged 12 rupees later. What is Docomo Loan Number? To take a loan in your Docomo SIM, dial * 444 # or * 369 # and after that you can take a loan at your Docomo number according to your requirement. What is Reliance Loan Number? If you want to take a loan at your Reliance number, you can dial it from your phone * 141 * 5 # and thus you will be given a loan of Rs. 5. For Dial 10 Talk Time, dial * 141 * 10 # from your phone. So this was great information for you, through which you can take a loan through any loan number. Let us tell you that BSNL, Telenor Or Jio do not offer any loans so that you will not get any loan number.